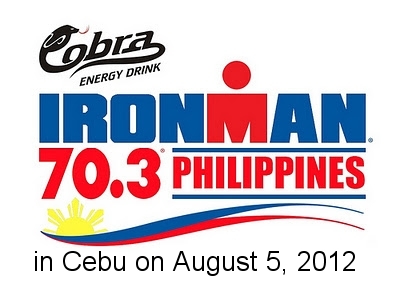 After racing in a man-made lake the past three years participants will swim in open water as the Cobra Energy Drink Ironman 70.3 Philippines holds the 1.2-mile swim part in the sea starting at the beach of the Shangri-La’s Mactan Resort & Spa in Mactan Island. The province of Cebu will literally host the event with the 56-mile bike ride traversing four municipalities ( Lapu Lapu, Mandaue, Cebu City and Talisay). The culminating 13.1-mile run will be at Punta Engano, Lapu Lapu City. A huge field of 1,319 individuals and 115 relay teams from 31 countries, with 350 on the wait list, will test their strength and endurance once again as Ironman 70.3 Philippines provides another once-in-a-lifetime triathlon experience. Alaska Milk Ironkids Triathlon on the other hand is for the youngsters. It is the local junior version of the international triathlon series, Ironman. It is open to kids age 6 to 14 years old and aims to promote an active lifestyle for kids to promote their health. Leading the Cobra Energy Drink Ironman 70.3 Philippines are the professional triathletes including back-to-back champion Pete Jacobs of Australia. Jacobs, who has become a regular fixture of the Cobra Energy Drink Ironman 70.3 Philippines, will gun for an unprecedented third consecutive victory after winning the past two editions in 2010 and 2011. He will have his hands full against Cobra Energy Drink Ironman 70.3 Philippines inaugural champion Terenzo Bozzone from New Zealand who won the 2009 race. Other male professionals include Fredrik Croneborg from Sweden, Justin Granger from Australia, Mathieu O’Halloran of Alaska TeamTBB Philippines who now lives in the Philippines and Jesse Thomas from the United States.